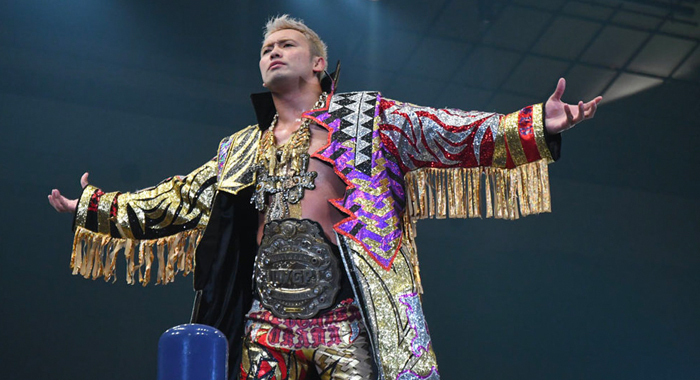 Kazuchika Okada has won the IWGP Heavyweight Championship for the fifth time. The Rainmaker took the title from Jay White in the main event of this Saturday’s G1 Supercard event in New York. Another top champion was also crowned as Matt Taven won the Ring of Honor World Championship in a triple threat Ladder Match, defeating both “The Villain” Marty Scurll and Jay Lethal, who entered The Garden reigning as champion for 280 days. The G1 took place in the world famous Madison Square Garden in New York, which is also WWE’s backyard. The event was a cross-promoted venture between New Japan and Ring of Honor and indeed made history for both companies. Okada’s win was expected among many fans, as White’s reign seemed to be nothing more than a starter run for The Bullet Club leader. But Taven’s title win was a bit more shocking, as Lethal was believed to retain his championship. The G1 was shrouded in controversy as former WWE Superstars Enzo Amore and Big Cass jumped the guardrail and attacked several wrestlers. However that brawl did not take place during either world championship match.